Davek Umbrellas are built to last. All photos courtesy of Davek New York. When you've only got a few days in a foreign city, a little rain won't keep you down. As long as you don't lose your umbrella. I have a serious problem holding onto umbrellas. They're the kind of thing, like Chapsticks and gloves, that aren't so valuable that I don't lose them, but just valuable enough to drive me mad when I realize they're gone. One might call umbrellas non-essential, but when the skies suddenly open, they feel about as "non-essential" as my wallet, phone, and keys. 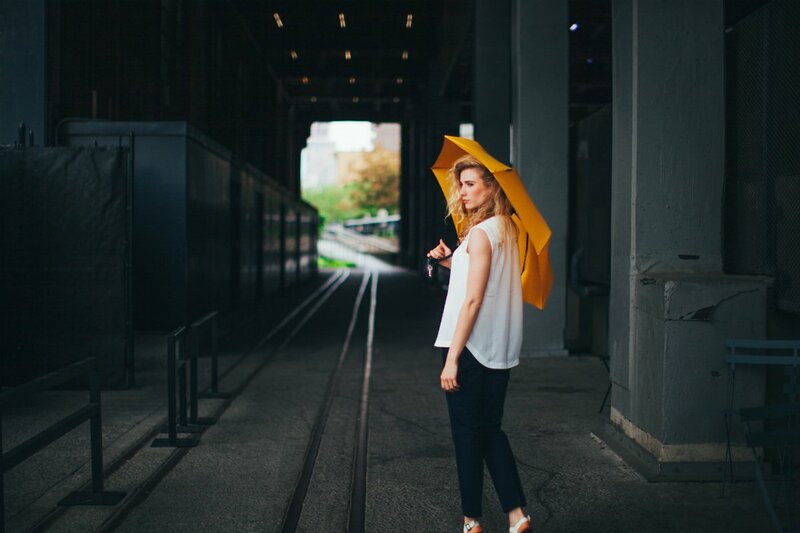 If you're anything like me (read: going on your sixth umbrella this year), there is hope in the latest from the umbrella company Davek. With the theory that investing in one quality umbrella is far preferable to buying replacement after replacement, they've been making high-performance umbrellas since 2005. But for years their umbrellas only withstood damage, not loss. Their newest model is changing the game. Constructed with Loss Alert technology, the Davek Alert connects to your smartphone via the Davek app. 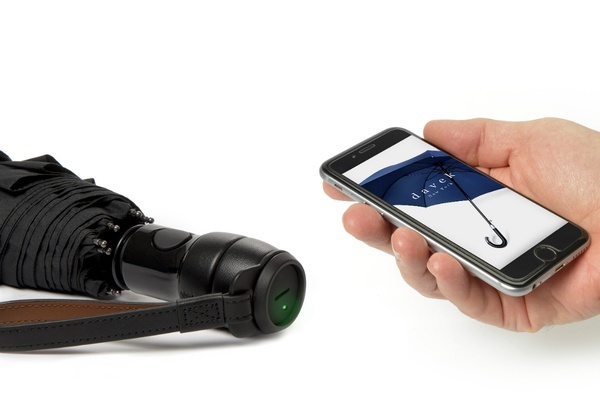 Once your umbrella is connected, a beacon chip in the handle emits a signal read by the app. When you've moved more than 30 feet away from your umbrella, and the app alerts you that your umbrella is out of range. So let's say you weren't checking your phone, missed the notification, and arrived home umbrella-less and confused, unable to remember where you left it. Open the Davek app and tap the GPS arrow, and the display will provide your umbrella's last known location. With any luck, it will still be there when you retrieve it. Like all Davek umbrellas, the Loss Alert model is expertly constructed with aircraft-grade aluminum stainless steel, flexible fiberglass, and the highest weave of microfiber fabric. It opens and closes at the touch of a button. The tracker is battery powered and lasts up to a year. They may be waterproof, windproof, and nearly loss-proof, but they're not idiot-proof, so do your best not to leave it in a cab. Available online at for $125.